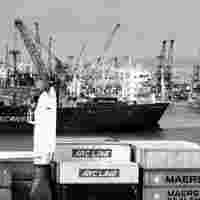 Mumbai: The cost of moving perishable cargo in specialized containers from India to the UK, Scandinavian, Baltic and Mediterranean ports will increase from 15 October after a group of 19 shipping lines operating on this sector agreed to hike rates by $600 (Rs24,282) for a twenty-foot container and $1,200 for a forty-foot container. The lines, belonging to the India, Pakistan, Bangladesh, Ceylon (IPBC) Conference agreed to hike rates for moving refrigerated containers after a meeting held in Mumbai on 11 September. A twenty-foot equivalent unit (TEU) is the standard size of a container and is a common measure of capacity in the container business. A forty-foot equivalent unit (FEU) is double the size of a TEU. A liner conference is a group of container shipping firms offering equitable freight rates, standardised shipping practices and regularly scheduled services between designated ports. Members of the IPBC Conference include the world’s biggest container shipping firm Maersk Line, Evergreen Line, Hamburg Sud, Hapag-Lloyd, K Line, Mac Andrews, MISC, CSAV-Norasia, Rickmers Line, Safmarine, Yang Ming Line, UASC and Zim Line. India’s state-owned shipping company Shipping Corp. of India, is also a member. “With the IPBC Conference effecting a rate hike for shipping refrigerated containers on the India-Europe sector, automatically (prices on) other sectors will also pick up," said an executive at Zim Line who did not wish to be identified. Reefer containers or refrigerated containers are used for transporting perishable goods. Microprocessors control humidity, atmosphere and temperature inside the containers. Currently, it costs about $3,750 to ship a forty-foot reefer container and $2,675 for a twenty-foot reefer container from India to the UK. This will rise to $4,950 for an FEU and $3,275 for a teu from 15 October. “Members of IPBC Conference have agreed for a rate hike for shipping refrigerated cargo in West-bound trade," said an official with French firm CMA-CGM, the world’s third biggest container shipping firm and a member of the IPBC Conference. Member lines are facing considerable increase in costs and congestion (in Indian ports) continues to have a detrimental effect on the carriers ability to operate efficiently, he added, asking he not be identified. The rates for shipping reefer containers have remained static for a while even though the rates for dry or normal containers are being hiked every three months by the IPBC Conference. “Reefer container cargo is a growing sector. Quite a lot of perishable goods move from India to Europe," said Julian M. Bevis, chairman of the Container Shipping Lines Association (CSLA), an industry body representing container shipping lines that operate from and to India. India’s reefer market is estimated at 70,000 FEUs a year and is growing at 10-12% a year, according to the CSLA. A forty-foot container can typically load about 25 tonnes of perishable cargo, usually frozen seafood, frozen meat, fruit, vegetables and dairy products. The reefer container business forms a significant part of the revenues of container shipping firms. It costs two times more to move refeer containers than normal containers. The rate hike in transporting reefer containers by the IPBC Conference comes a year before the conference is being disbanded. The conference will cease to exist from October 2008 after the European Union decided to repeal the antitrust immunity given to such groups operating from Europe including the London-based IPBC Conference. Liner conferences were given antitrust immunity as authorized by the Shipping Act of 1984, a Congressional legislation that set US regulations for the ocean transport industry that has been adopted by other countries or groups of countries. India’s Competition Act also prohibits shipping conferences.